A reliable internet service is critical to your business. It keeps you connected to your customers and also to the world. Don’t trust it to just any provider – Talk to the only dedicated small business provider. Why do more small businesses choose Commander? Customers choose Commander because we ask all the right questions about their business needs up front. It helps that we’ve been the small business specialists for over 30 years and transitioned thousands of small businesses (just like yours) across to premium voice and data services. Finding out about your business goals early means we can cut through all the complexity to deliver a simple, straightforward solution that sets you up for the future – so you can shift your focus to more important things – like getting back to business. NBN and NBN Co, and Powered by the NBN are trademarks of NBN Co Limited and used under licence. Not available in all areas or to all customers. Only available in premises pre-installed with fibre technology. All plans are subject to a 24 month agreement. Early termination fees of 50% of the monthly access fee, by months remaining on the agreement will apply. A valid ABN is required to be eligible for these plans. Monthly Access Fees are subject to a pro rata calculation in your first month of activation. Fibre to the Business Services are provided to the first telephone point in your premises; Standard installations are completed without charge to you. 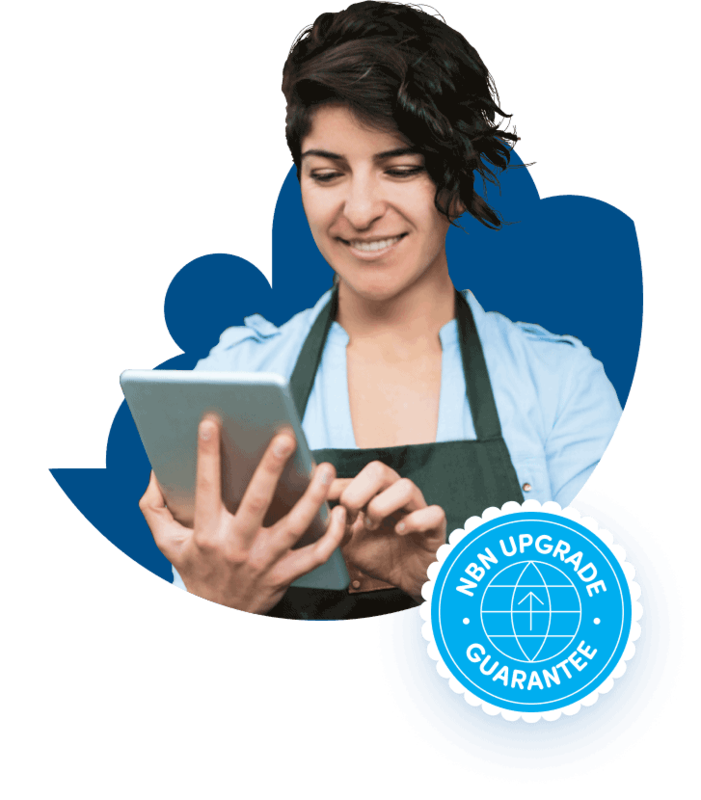 Non-standard, additional or subsequent installations including but not limited to NBN Professional Install or Valet Offerings may require you to pay additional charges. Any cabling that is required in your premises beyond the Network Boundary Point is your responsibility. If you take up a Fibre to the Business service, you may not be able to move back to a copper service. A 240-volt power supply may be required. In the event of a power outage, your services will not work unless you maintain a back-up battery. Commander Business Gateway upfront charge is $129.00 on a 24 month contract and $0.00 on a 36 month contract. A $19.95 shipping and handling fee applies. Total Minimum Cost includes Monthly Access Fee over 24 months. Commander Standard Form of Agreement and Acceptable Use Policy applies to our NBN Fibre Broadband services and can be found on our website at Customer Terms. Enhanced SLA terms only apply when purchased. Direct debit is the preferred method of payment. All other payment types incur a $3.95 non-direct debit surcharge. Credit card surcharges apply. If you’re in a newly constructed building and not already connected to the nbn, nbn Co may charge you a once-off New Development charge of $300 (inc GST). For FTTB, FTTC & FTTN customers, until your service is connected we are unable to confirm your maximum attainable speed. If your line does not support your chosen connection tier we will inform you and offer you alternative options. Pricing is inclusive of GST. Pricing and plan features correct as of 1 November 2018. Commander is a registered trademark of M2 Commander Pty Limited ABN 85 136 950 082.